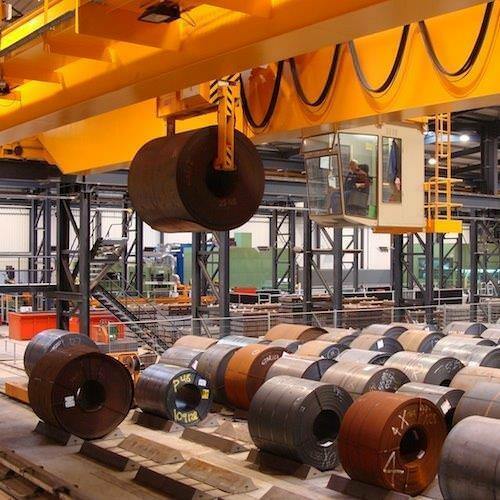 An overhead crane is one of the first resources for (un)loading truck more efficiently and performing supporting work activities in production hall. When combined with several accessoires an overhead crane can be used for transporting stones, sand, steel or trees for example. The demands placed on knowledge and insight of an engine driver are becoming ever higher. Moreover the 'Health and Safety' Act determines an employer should ensure his employees are educated, so safety, health and well-being is garanteed. Participants will gain knowledge and the ability of operating the Overhead Crane(also known as Bridge Crane or Gantry Crane) safely. They also learn to rigg responsibly according to the TCVT standards, while using correct tools. This course will let participants develop the ability of estimating risks. Finally they are taught how to communicate with employers or clients in a professional manor.